Chair in the Shade: What's Holding You Back? 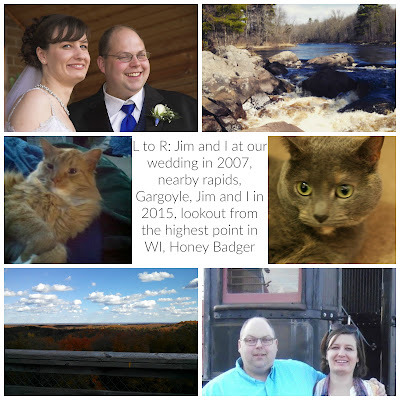 Ever since I got back from my Upper Peninsula adventure in Michigan, I've been restless. Little annoyances and inconveniences have been hugely off putting, and changes that I would normally just roll with have me on the verge of tears, especially this week. There's been changes going on at work and people have been needing to be flexible and it feels like I'm the only one giving. It's not so much that I mind giving a little, I mind feeling like I don't have a choice in the matter. That makes me feel taken advantage of and used. So last week, when I was reading my blog feed, I came across a post from Delightful Tacky called "What's Keeping You From Achieving Your Dream?" She talked about how need for approval causes her to stall out once she gets that approval, and not achieve her full potential, and she asked others to write what's holding them back from achieving there dreams. It felt like it was wrote for exactly were I am and I knew I needed to do this. First off, I'm not sure what my goals are. I have lots of dreams- run a bakery, work from home, move to the Upper Peninsula, travel, make my own cheese, but quitting my day job would definitely be at the top of that list. What's holding me back? Number one answer would be money. We have a house payment, people. And living in rural Wisconsin pretty much necessitates you have a car to get around in, so there's upkeep for that, there's groceries, there's electric, heat, cell phone, internet, and all sorts of other random bills that seem to be always coming in. We've cut back a lot, but it's not feasible for me to quit my job. Number two answer would be my husband. He doesn't really want to move to a smaller house or move for that matter. So, sometimes I feel like I'm just stuck here where we are, for better or worse. Number three would be me. I tend to try to tell people want they want to hear and I don't like rocking the boat. I don't want to be too honest and let my guard down with very many people, because they might not like what they see and it might create a conflict of some kind. Even with my blog here, there's things I want to write about, but then change my mind, because I don't want to stir things up or offend anyone. So what can I do? Well, number one and two are pretty much out of my control. I mean, unless I get a second job or somehow convince my husband to pull up stakes and try something new. But, for now those are pretty much on the back burner. So, that leaves number three, and at the risk of being a little too cheesy, motivational speaker sounding, that's the only one I can change. And once I realized that, I felt a little better about everything. So that's what I'm going to work on. Being a little more real to the people I interact with on a daily basis, and not being so afraid to say something when someone asks me for my opinion and it's different than theirs. I need to speak up more and more eloquently when I feel taken advantage of or like someone is manipulating me or just asking my opinion of something. I have other things I need to work on, but I think that will be a good first step. But what about you? 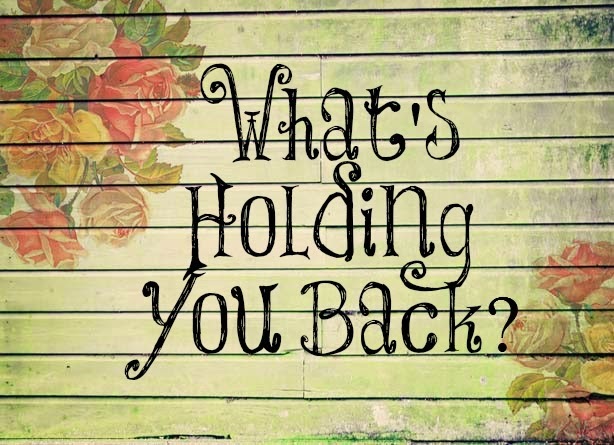 What holds you back from achieving your dreams. And be sure to check out the link up at Delightfully Tacky to see a bunch of other bloggers thoughts on this. Great post! Money and feeling stuck is definitely a hold-back when it comes to wanting to do something. Those things hold me back, too, but as I get older I do speak my mind a little more and wish I'd done so when I was younger. I hope you can break those ties that are holding you back...good luck! I struggle with #3 as well. Conflict is something I try to avoid, but that shouldn't be at the cost of being yourself. Siting all day in front of computer makes me exhausted and inefficient working.So, I use ergonomic kneeling chairs.It's perfect modeling provides me with relaxed siting, energizing hours and effective time period as well.